Enduristan's do-it-all bag! Use it on its own, or add it on to any of Enduristan's saddlebag/drybag products! 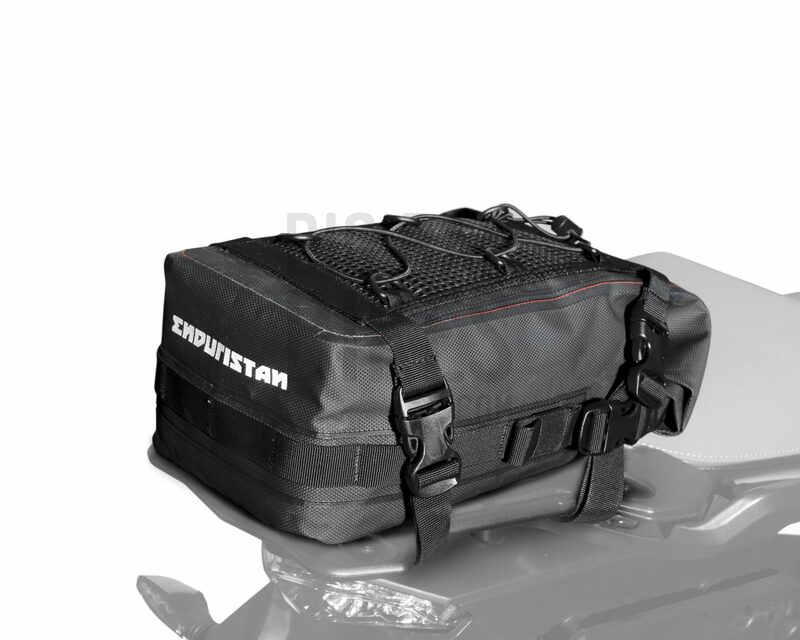 Enduristan brings you the XS Base Pack 6.5L, a 100% waterproof drybag that can be used on almost any motorcycle. This drybag features a roll top closure for a 100% waterproof seal. Available in two sizes, this version gives you 6.5 litres of storage capacity. The bag has molle webbing on the outside to allow straps to pass through and securely tie down the bag. The same loops can be used to attach other products on to the drybag. There is a heavy duty mesh pocket on the outside, with a velcro closure. There is also an elastic bungee net which you can use to store things that you need quick access to.